Home » Tutorials » Embroidery Thread and Seed Bead Kumihimo Bracelets and a Giveaway. Embroidery Thread and Seed Bead Kumihimo Bracelets and a Giveaway. 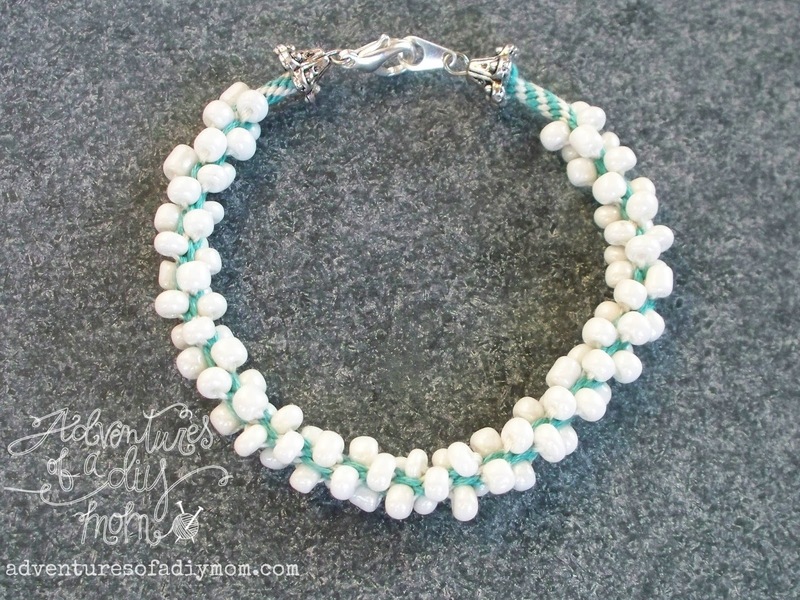 Today I'm going to give you a quick little explanation of how to make these cute kumihimo bracelets using embroidery thread and seed beads. I love that the spacing of the beads allows you to see the color of the thread. Before we begin, make sure you go read my Kumihimo Braided Bracelet Tutorial and my Kumihimo Beaded Bracelet Tutorial. This will make a lot more sense if you have the basics down. Okay, now let's get started. I like to do these in two colors. 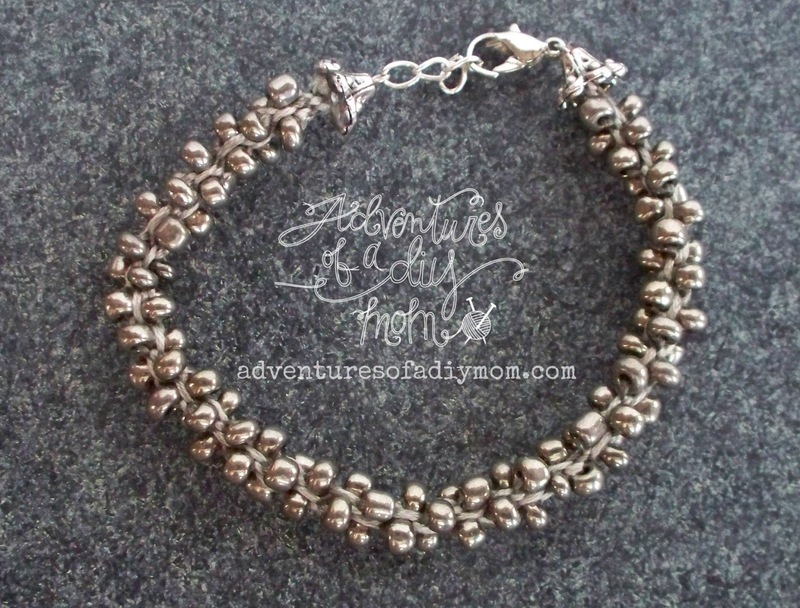 One to match the beads and the other as an accent color. Set up your loom and add about 25 seed beads to all four of the white strands. Braid for about 1/4 inch then start adding beads. The trick is to only add beads when you bring your thread from the top to the bottom. Do not add a bead when you bring the thread from the bottom to the top. That's all there is to it. Pretty easy right? I started my blog exactly 2 years ago yesterday. 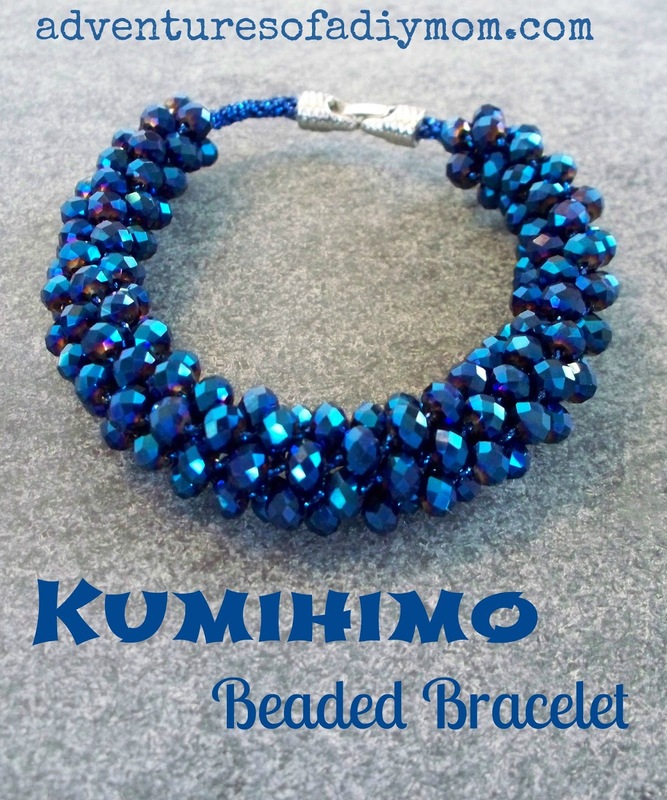 I'm not one to have a big hoopla, but since I've made a ton of Kumihimo bracelets, I thought I'd do a little giveaway. The winner will get to choose their favorite from the list below. Note: You must live in the U.S. to enter. I love option B so cute!! all are awesome but for me it is D!! Lovely bracelets! 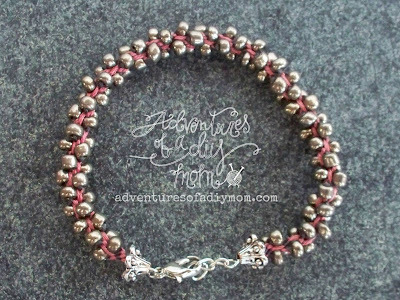 I like the tutorial the best- I love using a loom to make bracelets and your tutorial is super helpful!